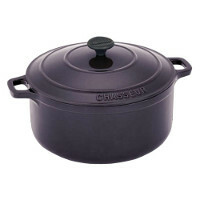 Chasseur is world renowned for producing the highest quality enamel-coated cast iron cookware. 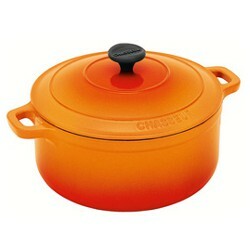 Handmade in Doncherry, France, Chasseur cookware is crafted by master artisans with a critical attention to detail. 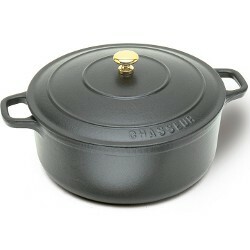 Constructed of double-enameled cast-iron, Chasseur cookware evenly distributes heat and retains heat for consistent cooking results and is suitable for all heat sources, including induction.Chasseur offers a complete range of cast iron cookware in a variety of colors to match any kitchen decor.